Join us at Book Culture 112 as Heather Corbally Bryant and Lynne Viti discuss their books of poetry, James Joyce's Water Closet and The Glamorganshire Bible, on Monday, October 29th at 7pm! James Joyce's Water Closet: With a luminous language the poet brings us to Ireland and with her verse that is deep and melodious we accompany her to Ireland. A land a place that in Heather Corbally Bryant poetical imagination conjures a world of inner and outer beauty. Each poem is crafted with beauty and wonder and we the readers travel through Land and sea. Imagine Dublin and James Joyce with the poets eye that is generous in its Understanding of the places we inhabit in our soul. James Joyce’s Water Closet won honorable mention in the Finishing Line Press Open Chapbook Competition. 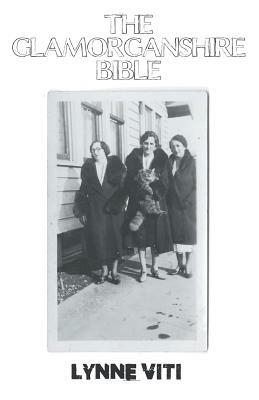 The Glamorganshire Bible: This suite of poems focuses on Florine Morris Close, the author's maternal grandmother, whose hardscrabble upbringing and young adult years in Cumberland and the nearby western Pennsylvania towns resulted in chaos not only in her life but in that of her young daughter., who would go on to become a revered teacher and administrator in Baltimore County. Spanning the family's emigration from Wales in the mid-19th century to the author's adolescence in the 1960's, the poems are frank, direct free-verse narratives of separation, loss, and survival of women in an era in which education, social advancement, and economic challenges thwarted their girlhood dreams of escape into a life of comfort and ease. Heather Corbally Bryant teaches in the Writing Program at Wellesley College. She received her AB from Harvard and her PhD from the University of Michigan. Her first book, How Will the Heart Endure: Elizabeth Bowen and the Landscape of War, (University of Michigan Press, 19920) won the ACIS prize. She has published poems in The Christian Science Monitor, In Another Voice, Fourth & Sycamore, and the Old Frog Pond Farm Collection (2017,2018). She has published six collections of poetry: Cheap Grace (Finishing Line Press, 2011), Lottery Ticket (The Parallel Press Series of the University of Wisconsin Libraries-Madison, 2013), Compass Rose (Finishing Line Press, 2015), My Wedding Dress, (Finishing Line Press, 2016), Thunderstorm (Finishing Line Press, 2017), Eve’s Lament (Finishing Line Press, 2018). James Joyce’s Water Closet, (forthcoming 2018) won honorable mention in the Finishing Line Press Open Chapbook Competition. Her work of creative nonfiction, You Can’t Wrap Fire in Paper is forthcoming from the Ardent Writer Press in 2018. Lynne Spigelmire Viti, a Barnard alumna and former Upper West Sider, is a senior lecturer emerita at Wellesley College. She is the author of two poetry collections, Baltimore Girls (2017) and The Glamorganshire Bible (2018) both from Finishing Line Press, and a microchapbook, Punting (2017), from the Origami Poems Project. She won Honorable Mentions in the WOMR/Provincetown Joe Gouveia Outermost Poetry Contest (2018), Concrete Wolf Louis Chapbook competition (2017), Grey Borders Wanted Works contests (2016), Allen Ginsberg Poetry Competition (2015), and the Glimmer Train Short Fiction Contest (2014). She blogs at stillinschool.wordpress.com. Twitter @LynneViti.